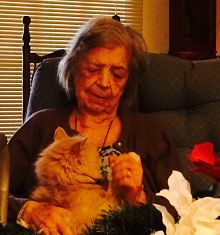 Rosalie Stimson Phillippi passed away peacefully on January 6, 2016 in Santa Barbara, CA. She was born to Mary Rose Stimson and John Ward Stimson on April 15, 1916 in Corona, CA., the oldest of three girls, including Marie Juanita Beardsley and Grace Ariel Jaeger. She was married to Clarence Phillippi from December 7, 1941 until his death in 1981. Rosalie received her Bachelor’s from UCLA and a teaching credential from UC Berkeley. She taught throughout California, ultimately teaching creative writing and English at Santa Rosa Junior College. She was editor of the Santa Rosa News, and retired from State Farm Insurance where she edited its Northern California publications. She received the prestigious Columbia University Journalism Award for her weekly newspaper travel article “Bolinas, a 20th Century Anachronism”. An activist, she participated in Martin Luther King’s 1963 March on Washington, and worked successfully to oppose the construction of a nuclear power plant on the Bodega headlands. Family, friends, students, and colleagues admired Rosalie for her wisdom, wit, kindness, and energy. Rosalie is survived by her son James Phillippi and his wife Colette. They wish to thank the many people at Maravilla Senior Living who showed her kindness at the end of her life. Rosalie is also remembered and loved by her nieces Susan Beardsley and Mary Jaeger, and her nephews, Joseph Jaeger and John Beardsley, many other friends and family, and her beloved cat Murphy. A private memorial service will be held at Santa Rosa Memorial Park, Santa Rosa, CA with the date to be announced.